Professional edition of Barcode Label Maker Software design barcode images with use of popularly used Linear and 2D barcode symbologies. 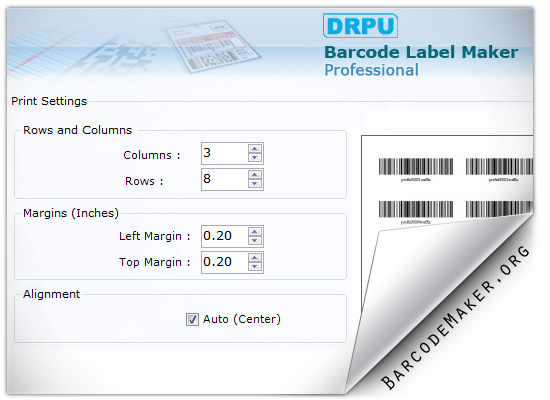 Now it is possible to design customized barcode labels with use of image designing objects including text, line, picture, ellipse, rectangle etc. Bar code software provides technically advance option to generate Barcode List using Sequential Series, Constant Value Series and Random Series options. Data Set Series feature allows to generate multiple copies of labels with different barcodes and text value in Barcode Designing View.